Q: Are you a repair shop or do you sell bikes? A: Both. I like to think that, as a bicycle is a machine greater than the sum of it’s parts, so is Southwest Bicycle. 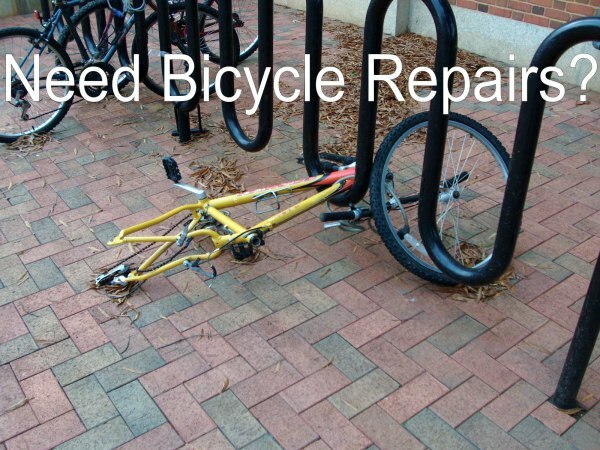 We service, repair, modify and upgrade bikes as well as sell new and reconditioned bikes. We also have accessories, parts and honest advice about most anything bicycle related. Q: Can I bring my bike in for a tune up? A: We are a full service bicycle store. We perform tune ups on bicycles every day but we need to evaluate your bike to give you an accurate estimate. Please bring it in for a free evaluation. Once we agree on a course of action we will give you an estimate of the cost and turn around time. Q: How long will it take to get my bike tuned up? A: Cycling in Portland is somewhat seasonal. If you bring your bike in from November to February, we can usually get it back to you in a day or two unless we have to get some special part. If you bring your bike in the first sunny week in April, it could take a bit longer. Q: How much do you charge for a tune up? A: “Tune up” means different things to different people and its not the same service wherever you go. Ask what service is done in a "tune up". A Basic Tune up costs $75 and includes adjusting everything on the bike starting with the bearings to make sure they are not too tight or too loose and spin smoothly. Headset and bottom bracket bearings are checked and adjusted as needed. You might be surprised that about 80% of the bikes we work on have bearings that are too tight and it's just a matter of time before they are destroyed resulting in expense that can easily be avoided. Shifting and braking mechanisms are adjusted for quick, precise gear changes. The wheels are trued, worn parts are replaced as needed, a light cleaning is done and all nuts and bolts are checked for safety. We also offer a service we call a “Performance Tune” for $105. It's everything above plus we de-gunk the entire drive train including the crankset, sprockets, chain and derailleurs. In addition, the entire bike is washed so you get it back looking and working it’s very best. This is the same service I did for the pros because the athletes and sponsors want the bikes to look their best at the start line and the riders demand the bike work perfectly during the race. So instead of a black, greasy chain and sprockets that you try not to touch or get on anything, you will have a transmission literally clean enough to eat off of. A clean bike is not just for cosmetics. When your transmission is clean, it will last longer, work smoother and the bike will feel better to ride. Replacement parts are additional. We will inspect the chain, sprockets, cables, brake pads and tires for wear. To finish it off we suggest fresh bar tape or grips. They go a long way to make the bike look and feel like new. Just need a brake adjustment or a flat fixed? We can do as much or as little as you need. Q: What’s the difference between a tune up and an overhaul? A: Those terms get interchanged a lot but they are very different services. A “tune up” takes care of all the mechanical adjustments on the bike such as bearing preload adjustments, wheel trueing, brake, derailleur adjustments and safety check but does not get into the bearings. When we do an overhaul, the bike is stripped to the bare frame and the hubs, headset and bottom bracket are disassembled, cleaned, inspected and rebuilt with new bearings and grease. It’s more involved than a tune up. If you are riding the same bike every day, it should be done about twice a year to prevent wearing the bearings to the point the races become damaged and need to be replaced. An example would be a 70’s vintage French bike. If the crank bearings had been serviced on occasion, it will probably work fine for many more years. If on the other hand, it had only been tuned up, the bearing races may be damaged and no longer serviceable. The solution would be to simply replace the ruined bearings, right? The problem is French bottom brackets are about $100-$200. If you love your old bike, get it overhauled. The required frequency depends on the type of seals if any, the conditions you ride in and how often you ride. If you have a higher end, more expensive bike, it probably has well sealed bearings that need service less frequently than older or less expensive bikes that have bearings that are more exposed to the elements. The rule is, overhaul bearings before they need it and it will cost less in parts. This can be done a little at a time. You might have the bottom bracket done one time and the rear hub another time. ​An overhaul is $179. plus parts as needed. Q: Is my chain okay? A: Probably not. Most people think the number one replacement part on a bike is tires or brake pads. They’re not. It’s the chain. Keeping a fresh chain on a clean transmission is the best way to ensure smooth, reliable shifting and longer lasting sprockets. Generally speaking, the more speeds your bike has the more frequently the chain needs replaced. For instance, A chain made to run on a 10 speed cluster is narrower than a 7 speed chain so the load bearing surfaces are smaller and wear faster. Chains and sprockets wear together. If you run a chain too many miles, chances are that when you replace it the gears will “jump” because it no longer meshes smoothly on the worn cogs and you will need a new gear cluster as well. Even if the chain does not skip, running it on worn cogs will accelerate the wear so a new chain will last only a fraction of time it should. Change the chain more often and the sprockets will wear much longer. Q: How often should I replace my chain? A: If you are an all weather commuter, about once a month. Less often if your bike is clean and it hasn't rained in a while. Even less often if you are a fair weather weekend rider. There is way too much information about chains and chain wear to talk about here. If you want to study up, look up Sheldon Brown's chain pages. Q: Is my bike worth fixing or is it a total piece of junk? A: If you have to ask…. Unfortunately, most department store bikes are designed to be throw aways never having been intended to get much service beyond fixing a flat. They are short term bikes intended to last a year or two and then be discarded. Check Goodwill or craigslist and you will find lots of them of them for cheap. The problem is, all those used department store bikes probably need work that costs even more than what you paid for it the first place and after it’s serviced, you still have used cheap bike. There are some good bikes at Goodwill and craigslist but it takes an experienced eye to spot them. I don’t want to sound 100% negative. Sometimes these bikes are in decent shape and will work for limited use. I once rode a Huffy Trans Am from San Diego to Phoenix with 50 pounds of packs before it broke. Your mileage may vary. We look at them on a case by case basis. We are reluctant to work on these bikes because people think that if a professional at a respected bike store works on the department store bike that it will somehow be transformed into a precision machine simply from our touch. In fact, thin, wobbly sprockets shifted by a crude, stamped steel and plastic derailleur will only work so well despite the best efforts of good mechanics. They are harder to work on and take longer because getting a precise adjustment out of a crude, wobbly derailleur is challenging at best. The result is you pay for a tune up that doesn’t really help the bike work a whole lot better than it did before. I’ll be happy to take a look at your bike and help you determine if you want to fix it or scrap it. A common scenario is someone brings in a nice, old bike they bought from craigslist to get it serviced. We look at it and find a broken part that costs moreto fix than they paid for the bike. Had that been spotted, they might have negotiated a much lower price or passed on it altogether. About every two weeks someone brings in a “great deal” they just bought to get tuned up and I have to tell them it needs $$$ worth of work to make it work right. If you don’t live bikes like we do, perhaps you could get the seller to let you have a mechanic look at the bike before you buy it.